Can we just purchase new ones and have an A&P install them and be compliant??? If it is not original equipment, and your airplane is registered as an S-LSA, then you must submit an MRA to Flight Design for the alteration. If approved, they will provide you with an LOA (letter of authorization. I am sending my seat belts into Aviation Safety Products next week. It is an FAA repair station for seat belt repairs. I have to do it next week due to the DAR visit to give me ELSA cert. I have talked to Flight Design about this for several years with no results. Not just seat belts but other things as well ( I have been legally modifying aircraft for over 30 yrs, ELSA makes it a lot easier than type certified) I was quoted $216 per seat for all new nylon webbing. What is going to be done to the belts. Will it basically be changing to nylon and keeping the same hardware? This change is an improvement for safety and should be a no-brainer for issuing an MRA - but then the lawyers come into the mix. Same material used in certified aircraft, it's a little thicker due to the nylon nap and holds well. I don't think Flight Design (not USA) is that interested in older plane support, they are more interested in newer models. Several years ago I bought new carb drip pans, they did not fit due to incorrect angle. I brought this up to FD with photos, they agreed they were faulty. 2 yrs later I checked and was told the pans were never corrected. I will reweld them myself. I'd like to try this again. Can Madhatter please e-mail me at topservice@flightdesignusa.com ? I would like some information from you about the belt material. Thanks! I sent in my seat belts and shoulder harnesses last week and received the info today from Aviation Safety Products. All the webbing is to be replaced with certified nylon webbing and the belt adjuster fittings are not adequate to secure the webbing and will be replaced. The total cost is $264. per seat. Flight Design USA has requested this information with the specific webbing and adjuster specifications. I understand that they are looking at trying to get a fleetwide service instruction to correct the loose belts. One downside to the way the harnesses hook up in the aircraft, is that the lap harness is not being pulled down across your pelvis. In a forward impact, there will be force against the upper harness, and without something pulling the lower harness downwards, the lower lap harness will have an upward pull. This results in a tendency to submarine, and can cause significant internal injuries. A five point harness might help, but runs the risk of doing some nasty damage to a person's genital area if they still manage to slip. A 6 point harness, or a better designed 4 point will keep the lap belt down to the pelvis. The lap belt portion should be drawn low over the pelvic area. It should never be up in the abdominal area. I have seen pilots do this and have warned them about abdominal injury to the internal organs. Snug the lap belt as low as possible over the pelvic bones. Then do the shoulder harness. The shoulder harness does not need to be tight. I guess the only solution is to relocate the attach points or raise the seat or seat cushions. Again ELSA makes this possible, I doubt Germany would even entertain the idea. 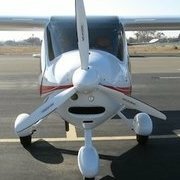 I recently talked to Oregon Aero and they said they received approval to replace seat cushions on a CTLS but is was extremely difficult compared to other S LSA aircraft. It doesn't matter, it will submarine regardless. 4 point harnesses are not street legal in many places, and in many racing circles because of this issue. Unless you can arrest the upward movement, or find a way to redirect the forces, this will remain a danger no matter where you position the lap belt. Almost all aircraft use a 3 or 4 point system. Aircraft in most cases decelerate a lot slower than a car hitting a stone wall or head on. If you hit a solid object in an aircraft ,seat belts will not do you any good, I have seen the results many times. I know of no production aircraft that uses a different system, except for aerobatic competition types. When I was 20 I was in a serious accident as a passenger in a stearman, the plane was totaled and it burned. 4 point military harness ,no injuries. (Went for a ride with someone I didn't know). Shoulder harness is the key and a lot of older planes do not have them, all mine do. Not sure I understand "shoulder harness is the key"? Are you referring to the standard automotive type of shoulder restraint? I recall someone installed a 5 point system with quick disconnect at the chest on his CT. It looked very secure. Not sure how the floor anchor was done but this might be the weak link due to lack of structure on our CTs? I would think ELSA owners might consider this. Although much safer than the present system, due to the liability of approving an untested restrain in their aircraft and the huge cost for testing one, I don't see FD approval happening for 5 point mod in LSA. Those harnesses are designed so that the lap belt is attached to the seat or floor, making it a lot harder for it to ride up. If it attempted to do so, it would tighten. I did say a properly designed 4 point harness is fine. This was the crux of my issue. The reason 4 points were banned (and subsequently allowed again in some places with very limited exceptions) is because they were badly designed. It not a question about planes vs cars crash velocities, it's a question about the implementation of it, and how I do not like that the bottom lap belt is anchored almost straight back behind the pilot or passenger. There's nothing keeping it from riding up when force is applied to the shoulders. This significantly increases risk of injury in accidents. I can only offer better webbing and adjusters which will help. If anyone is unhappy with the Flight Design harnesses the they should maybe buy a different plane. Received the belts back today. The seatbelt company said the problem was in the adjusters and not the webbing. Unfortunately the adjusters could not be changed without cutting the webbing.